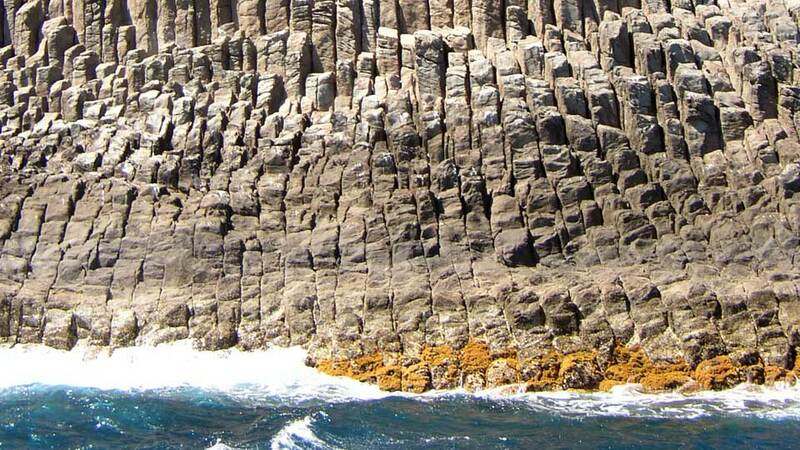 When La Gomera met the Atlantic, nature created a grand pipe organ and held a celebration. As the harmonious symphony played all night, so too did the sea waves swayed to the melody. Of course, that’s not how Los Organos Natural Monument came to be, but it does seem like it. Geologic formations abound in the Canaries, but none is as unique. How can something so out of this world be born from volcanic activity and erosion? Mother nature is an unassuming architect, but she likes to take her precious time when creating. Unlike human-made structures, she doesn’t put together materials. Instead, she uses natural phenomena to shape, form and build. And create she does when she wants to. No notice, no permits. The birth of the Canary Islands started millions and millions of years ago. No land was in this part of the Atlantic yet. All there was then was the vast sea. On the surface, it is not unlike what people see today in the middle of the vast ocean. But deep beneath the bedrock, the pressure kept mounting and finally led to a series of violent underwater eruptions. These submarine volcanic activities resulted in the formation of the archipelago. Subsequent eruptions from the land volcanoes then further molded and shaped the landscape. Due north of the island now known as La Gomera, a cluster of columns face the Atlantic. These are no ordinary cliffs, though. Made of cooled and hardened basaltic magma which remained inside the cone, this is where mother nature decided to build a masterpiece. Lava flows and erosion formed the Los Organos Natural Monument, a vertical wall resembling a pipe organ that seems to rise out of the sea. The marvelous Los Organos Natural Monument is on a cliff in Vallehermoso, north of La Gomera. There, it is out in the open, yet hidden from the rest of the island. And it continues to brave the high north wind and rough Atlantic waves as it had for millions of years. Some parts have broken away in time, but it remains as magnificent as ever. The many pillars carved into the coastline gave it the name Los Organos or Pipe Organ. While most of its 800m length is underwater, its 80m high and 175m-wide crown are visible. The uniqueness and beauty of the formation are so impressive that people go on boat trips to see it. It is without a doubt one of the most breathtaking basalt formation in the Canaries. Perhaps even beyond, based on how overwhelmed tourists are at the very sight of it. Something this remarkable unquestionably deserves a spot on everyone’s bucket list. Valle Gran Rey hosts an array of excursion companies that offer Los Organos Natural Monument trip. Some may have a nicer or faster boat, but all are unquestionably fit to take on the Atlantic. For those who prefer a private tour, there are charter boats for hire as well. Holding sangria with one hand and tapas with the other, feast on the La Gomera coastline in a luxurious white yacht. Sounds like a dream, but that’s the Excursiones Tina’s three-hour Los Organos experience. Aside from the cruise itself, modern comforts include three bathrooms, a bar, sun decks, and shaded decks too. What’s more, they only board a maximum of 58 passengers to make sure everyone has enough space to enjoy. That’s comfort, convenience, and fun all in one boat. Their trip to the natural pipe organ is every Wednesday at 02:30 pm. They also offer whale and dolphin watching with other activities several times a week. Speedy Adventure is a sister company of Excursiones Tina. Unlike Tina, though, they use a speedboat to cut down the travel time. Instead of three to four hours, the Los Organos Natural Monument excursion takes two hours. Hence, it is the perfect tour for guest pressed with time. The ‘Speedy’ trip is a quick cruise with a small group. And, because the boat is also rather tiny, it can get very close to the rock formation, far closer than any yachts that other companies use. At the moment, they have four Los Organos trip a week. During Mondays, Tuesdays & Fridays, they leave at 9.00 am, and on Sundays at 11.00 am. Los Organos Natural Monument is a visual treat. But beneath the seas, there is a hidden world. It remains hidden from plain sight unless one gets onboard the glass-bottom yacht of Excursiones Yani. Among its amenities are a sun and shaded deck. At only €35 including snacks and drinks, that is a bargain. The yacht departs at 2:30 pm from Valle Gran Rey to Los Organos on Tuesdays. They also offer whale and dolphin search almost every day too. Excursions to Los Organos via Tina and Yani includes food and drinks on board. However, for the Speedy tour, guests must bring their own. For those who prefer a full meal, there are plenty of great restaurants near the port. As Los Organos Natural Monument can only be viewed from the sea, joining a boat excursion is a must. At the moment, the sole pickup point of these journeys is Vueltas in the port of Valle Gran Rey. For those who are visiting from other towns, they can hire a charter boat. From San Sebastián to Valle Gran Rey, tourists take bus line 1 which is available every day. The bus departs San Sebastián at 10:30, 12:00, 15:30, 18:30, and 20:30 on weekdays. During Saturdays 10:30, 12:00, 15:30, 18:30, and 21:30. On Sundays and holidays, 10:30 and 21.45. Cruises are extremely popular in La Gomera as its coasts are of exceptional beauty. The vistas of the valleys, towering cliffs, and secluded coves are astonishing. It’s true when they say: “save the best for last” though, as nothing compares to the grand finale that is Los Organos. In fact, most, if not all, sightseers join the boat trips to see the volcanic pipe organ. The Los Organos Natural Monument has been wowing for years now, but it has been around for millions more. Its splendor has endured the wrath of both land and sea, but it might not do so forever, so why wait?